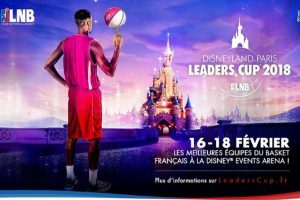 MARTY Sports will be again PARTNER of the DISNEYLAND PARIS LEADERS CUP LNB. Our FIBA basketball goals will once again be used for the next edition, which will take place from February 16 to 18, 2018. The tournament that will host the 8 best PROA teams will take place in the EVENT ARENA at DISNEYLAND PARIS which, for the occasion, will be able to welcome 5000 supporters.